Ground beef and salsa add crowd-pleasing flavor—and a bit of a kick—to the classic mac and cheese that so many people love. Prepare Dinner as directed on package. Meanwhile, cook meat with taco seasoning mix as directed on package. 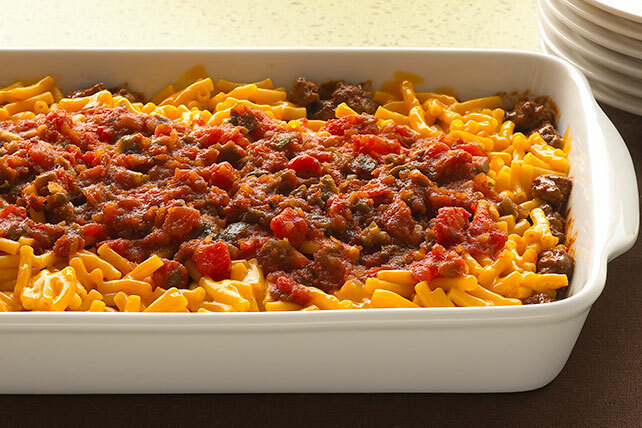 Layer seasoned meat, Dinner and salsa in 8-inch square baking dish sprayed with cooking spray. Serve with smart sides, such as a crisp mixed green salad and your favorite hot steamed fresh vegetable.